Search our full list of books; from Arbitration to Torts and everything in-between. 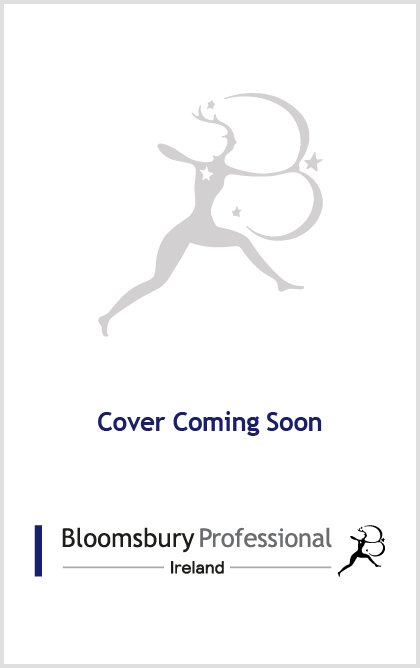 Access BPrO, our online service providing full books in Bloomsbury Professional Ireland’s catalogue, all completely searchable. The modern legal landscape is dominated by demands for flexibility. From commercial arbitration through to familial mediation, the process known as alternative dispute resolution (ADR) seeks to add a degree of dexterity to legal proceedings, providing a viable alternative to costly and drawn-out litigation. Our market-leading range of titles offer targeted insight into the realm of alternative dispute resolution, making them required reading for students and practitioners seeking to master the art of conciliatory deal-making. Mediation Law, by Penelope McRedmond, offers an erudite consideration of the broader range of contemporary issues concerning ADR law and practice – paying particular attention to the years of attempted legislative reform by the Oireachtas, which culminated in the Mediation Bill 2017. Scheduled for release in May 2019, International Commercial Arbitration Law , authored by Patrick Mair, Louise Reilly and Gillian Cahill, is sure to be an invaluable guide to the intricacies of cross-border boardroom mediation against the backdrop of an increasingly-globalised business environment. Our titles are available for purchase in print and e-book format.